As Head of Technology Strategy, Nick develops innovative technological solutions to scientific and health challenges; exploring new methods for measuring cognition at scale by leveraging consumer hardware, crowd-sourcing, cloud infrastructure and analytics. Since joining Cambridge Cognition in 2010, Nick has brought experience in translating scientific research into innovative mobile products and solutions. He is interested in helping realise the potential for mobile and wearable technology to transform the treatment of mental health disorders. He has pioneered new methods of cognitive testing outside of the laboratory using off-the-shelf consumer devices and has developed integrated cloud-based analytic solutions combining physiological and cognitive data. 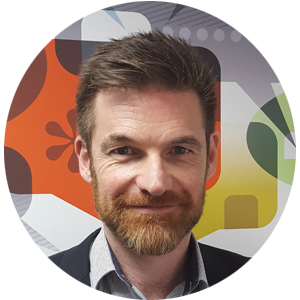 Nick’s past experience includes machine-vision, 3D database visualisation, voice recognition, security, bluetooth content distribution, and many consumer-focused mobile apps.